Making the transition from conventional deodorants to all-natural and organic deodorants can be a, well, stinky process of trial and error. We all want to avoid using toxic chemicals on our delicate skin, but no one wants to give up smelling fresh and clean in the process. Luckily, you don’t have to! We’ve researched and tried over 80 different natural and organic deodorants before narrowing down to this list of the very best organic deodorants that actually work. These deodorant products are made with natural bacteria and odor fighting ingredients and contain no nasty chemicals. All of the organic deodorants below are free from Parabens, Aluminum, Silica, Triclosan, Talc, Propylene Glycol, Steareths, and TEA/DEA (triethanolamine/diethanolamne). 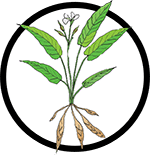 All products have also been double-checked against the Environmental Working Groups database to ensure that they only include the highest quality ingredients. Choosing the right organic deodorant product for you requires a little understanding of how these natural products work. For starters, natural deodorants are not antiperspirants. Common antiperspirant ingredients (like aluminum chlorohydrate and aluminum zirconium) literally block your sweat glands from producing sweat. While this may sound like a good outcome, these ingredients have been linked to gene instability, Alzheimer’s disease, and even breast cancer cell growth (1). Instead of blocking sweat, natural deodorants work by killing bacteria and neutralizing odor so that your sweat doesn’t smell bad. Additionally, natural powders (such as arrowroot, baking soda, kaolin clay, and corn starch) help to absorb excess wetness from sweating. Check out our guide on The Best Organic Deodorant Ingredients at the bottom of this list for more information on natural deodorant ingredients and how they work. Additionally, some natural ingredients work better for some people than others. 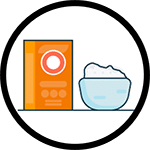 While baking soda is an amazing deodorizer, some people with sensitive skin find it a bit too harsh for their delicate underarm skin and may want a baking-soda free variety. Those who sweat heavily may prefer an organic deodorant that contains more heavy duty sweat-absorbing powders like kaolin clay and/or cornstarch. The bottom line is this: there is a natural deodorant product that will work for you! You may just need to try different formula’s until you find the right blend for your skin. 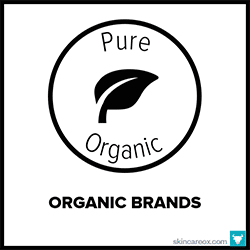 Want our experts to help you find the best organic and natural deodorants for your skin type? Then, try our Ox Box! The Ox Box is a curated skin care box filled with the best organic skin care products tailored for your specific skin type and skin conditions. Unsure if organic deodorants really work? Start with this heavy-duty deodorant cream! It is filled with every odor and bacteria eliminating natural ingredient available. 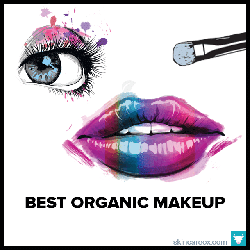 Top organic + natural ingredients include corn starch, baking soda, kaolin clay, shea butter, rosehip seed oil, jojoba oil, and a blend of potent essential oils like tea tree, lavender, and citrus. Great for men, women, and kids! Everyone's favorite organic deodorant! Made in Austin, TX with simple organic and natural ingredients like shea butter, arrowroot powder, non-aluminum baking soda, coconut oil, candelilla wax, and vitamin E. This BPA-free pit paste comes in a variety of scents (unscented, lavender, lemongrass, patchouli, and jasmine) and three strengths which make it an ideal deodorant for both men and women. Essential oils like lavender, citrus, rosemary, and Cyprus are known to have potent antibacterial properties. Combine those organic oils with certified organic arrowroot powder, shea, baking soda, and coconut oil and you get this solid aluminum free deodorant from Botanik. Lightly scented with organic lavender and highly reviewed, this is a great women's deodorant that's safe enough for children. The baking soda version of the brand's popular organic deodorant paste made with organic arrowroot powder, baking soda, organic coconut oil, organic shea butter, kaolin clay (for maximum sweat absorption), organic jojoba oil, and organic essential oils for scent like lavender and tea tree oil. The tea tree oil version may be better for men (masculine scent) or those needing extra odor control. A highly rated and very affordable USDA Certified organic deodorant spray for men and women that's powerful enough to stop bacteria in its tracks. 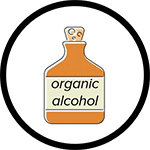 Organic alcohol helps with dryness and potent essential oils like vetiver, lavender, rosemary, and grapefruit kill bacteria while delivering a pleasant long-lasting scent. Contains no harsh irritants, baking soda, toxic chemicals, or aluminum. This USDA Certified organic deodorant spray contains 100% certified organic ingredients. Organic essential oils like lemon, orange, grapefruit, and sage work to knock out odor and kill bacteria. Organic grain alcohol doubles as a drying agent (to reduce sweat) and as a potent anti-bacterial agent. The light citrus smell works for men and women. Highly effective, all-natural, and truly organic! This 100% natural deodorant stick is made from one single ingredient: pure potassium alum mineral salts. No scents, no white marks, no aluminum, no toxins. The mineral salts work to eliminate odor causing bacteria under our arms. Simply wet the stone and rub onto your underarm areas. It lasts all day if you aren't exercising, otherwise you might need to reapply if you are physically active. Simply one of the best rated organic deodorants on the market. This organic deodorant features a combination of ingredients that you won't find in just any natural deodorant. Each stick is handcrafted and packed with potent odor fighting ingredients like non-nano zinc oxide, magnesium, arrowroot, kaolin clay, and probiotics for maximum effectiveness. Unscented and ideal for both men and women. Packed with organic and wildcrafted ingredients designed to kill bacteria and absorb sweat. 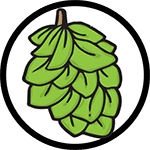 Organic hops work to kill odor-causing bacteria while aluminum free baking soda and arrowroot powder absorb sweat and neutralize odor. Other ingredients include organic coconut oil, beeswax, non-gmo vitamin E, organic shea butter, and organic lime and vetiver essential oils. Great for men and women. 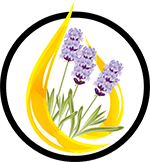 A hand-crafted USDA Certified organic deodorant made with all-natural staples like coconut oil, carnauba wax, arrowroot powder, shea butter, aluminum free baking soda, and essential oils of lavender, lemon, cypress, and rosemary. The blend of essential oils, in addition to the organic powders, help to neutralize odor and keep bacteria at bay. One of the highest rated organic deodorants available. An organic and all-natural deodorant + mild antiperspirant designed specifically for men! Heavenly earthy organic essential oils like cedarwood, clary sage, and cypress control bacteria and odor while delivering a masculine scent. This USDA certified product contains all of the standard deodorizing favorites (coconut oil, arrowroot, shea, and baking soda) without any irritants or toxic chemicals. The stick version of Primal Pit Paste's famous organic deodorant. Made with the same 6 great ingredients as the paste with the exception of organic beeswax instead of the candelilla wax found in the paste (beeswax helps the stick to hold its shape). Other ingredients include organic shea butter, organic arrowroot powder, non-aluminum baking soda, organic coconut oil, and non-GMO vitamin E.
Heavy sweaters rejoice! A heavy-duty baking soda free organic deodorant stick or paste made for sensitive skin types. Instead of baking soda, food-grade magnesium is used to neutralize odor. Includes powerful certified organic ingredients like arrowroot powder, shea butter, coconut oil, jojoba oil, and a variety of organic essential oils depending on the scent (comes in grapefruit or lavender). A USDA certified organic deodorant paste made with high quality and simple ingredients to keep your pits smelling great without toxic chemicals. Made with organic arrowroot powder, organic shea butter, organic coconut oil, organic sunflower oil, aluminum free baking soda, and lemongrass essential oil for scent. Great for mild odor control, but may not be strong enough for heavy duty performance. North Coast Organics specializes in hand-making USDA certified organic deodorants in a variety of scents and formulas. This long-lasting vegan formula contains our favorite deodorant ingredients (coconut, carnauba wax, arrowroot, shea, and aluminum free baking soda) along with a classic blend of earthy essential oils of cedarwood, clary sage, and cypress. Strong odor control with a light scent. Have you tried organic deodorants before, but weren't happy with the results? The founder of Underarmed knows your pain and crafted a product that actually works! It's a unique formula made with organic raw honey (antibacterial), castor oil (antibacterial), baking soda (wetness control), hydrogen peroxide, as well as eucalyptus and lavender oils. Hundreds of positive reviews speak for themselves. This 100% USDA certified organic deodorant is a great choice for those who have tried traditional organic deodorant blends, but want to try a different formula. This formula features organic cornstarch for wetness control instead of arrowroot powder or baking soda. Pure organic coconut oil, beeswax, and essential oils round out the rest of this simple formula--making it great for sensitive skin. Need heavy duty protection? Then, meet your new deodorant! This was one of our favorite organic deodorants that we tested. It provides superior protection with a unique formula made from pure calcium montmorillonite (their secret weapon which contains 57 trace minerals for maximum absorption), arrowroot powder, baking soda, and a variety of bacteria killing essential oils. Available in 16 scents. A more masculine version of Botanik's highly rated lavender organic deodorant. Features earthy organic essential oils which have known antibacterial properties (like Douglas fir, scotch pine, sage, and eucalyptus essential oils). This deodorant is produced in small batches and is free from aluminum, GMOs, BPA, or other potentially toxic ingredients. Great for outdoor activities and sports. Packed with every odor and bacteria fighting essential oil available, this stuff really works. Some reviewers even claim that they only apply this deodorant once every few days! It features natural odor and wetness fighters like aloe and vegetable glycerin as well as lavender, apricot, and rosemary oils (just to name a few). This roll-on was designed for specifically for sensitive skin types. What are the best organic deodorant ingredients? Ever put a box of baking soda in your fridge? This is because baking soda is amazing at neutralizing odor and absorbing moisture. Also known as sodium bicarbonate, baking soda can sometimes contain aluminum particles so look for an aluminum free baking soda formula. Very high concentrations of baking soda can disrupt your skin’s pH and cause rashes for sensitive skin types, so be wary of high baking-soda deodorants. Mined from the mountains of Koa-ling China, kaolin clay is an extremely absorbent and detoxifying powder. It can easily absorb a lot of oil and moisture, which makes it a fantastic natural deodorant ingredient. Kaolin clay also has potent detoxifying properties. It is great at drawing out impurities from the skin and then neutralizing them with its blend of mineral and phyto-nutrients. Very gentle and great for sensitive skin types. 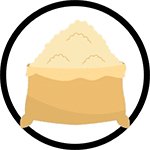 Arrowroot powder is a very absorbent substance that is very similar to corn starch. It servers as both a medium for absorbing sweat and as a thickening agent for deodorant pastes and sticks. 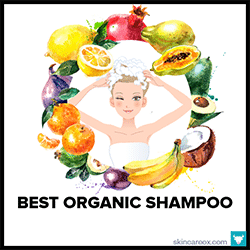 It is often found in natural dry shampoos as well because it is great at absorbing excess oil. By itself this powder isn’t great at killing bacteria, so it is usually mixed with potent anti-bacterial essential or vegetable oils like coconut, lavender, or sage. Essential oils are essentially the anti-bacterial stars of organic deodorants. Some essential oils are better than others for deodorizing because many essential oils are too harsh for topical use. The best essential oils to look for in a natural deodorant are bergamot, cypress, grapefruit, lavender, tea tree, clary sage, and rosemary. It’s no wonder most organic deodorants come in lavender, citrus, and earthy scents. Because aloe vera gel tends to be very gentle, many people don’t realize that it has potent anti-bacterial and anti-microbial properties. By using aloe to kill the bacteria which causes odor in our underarms, you may sweat but the moisture won’t breed odor-causing bacteria. In fact, some people use aloe vera as a natural deodorant on its own. As an added benefit, aloe vera is also anti-inflammatory so it can be healing for razor bumps and bruises due to shaving. 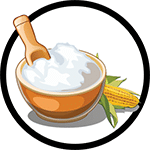 Like arrowroot powder, baking soda, and kaolin clay, cornstarch is exceptional at absorbing moisture and sweat. Many natural deodorants use either arrowroot powder or cornstarch to absorb sweat and then combine the powder with a potent anti-bacterial to prevent odor. Even without an antibacterial agent, a good absorbent powder like cornstarch hinders the ability for bacteria to break down sweat and create odor. Coconut oil and certain other carrier oils are often used in organic deodorant products because of their antibacterial, anti-inflammatory, and moisturizing properties. Lauric acid, a key component of coconut oil, is effective at killing a wide range of skin bacteria (including the bacteria that thrive under our armpits). 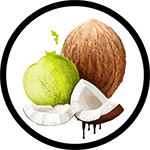 Additionally, because this oil is packed with anti-inflammatory compounds, coconut oil can also be effective at reducing irritation caused by shaving or skin friction. Organic ethanol (alcohol) is a very powerful antibacterial agent. Some people can find organic alcohol too harsh for their skin (especially after shaving), but others find that they need the extra antibacterial punch to ensure that no odor builds up throughout the day. 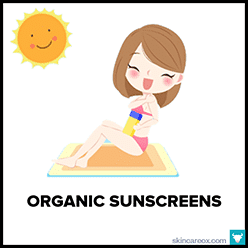 Most organic deodorants do not contain alcohol, but a few contain organic ethanol in small quantities so that it is not irritating. Non-nano zinc oxide is an effective and mild antiperspirant. 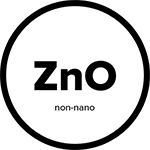 Unlike aluminum, non-nano zinc oxide is not absorbed by the skin because the particulars are too large (beware of nano zinc partials that can be easily absorbed). Thus, it can effectively block the production of some sweat without posing a health issue. Additionally, Non-nano zinc oxide has some anti-bacterial properties which helps to reduce odor. It is a white powder that can leave streaks on your clothing if not properly rubbed in. Yes, the same stuff that’s used to make beer also makes for a fantastic natural deodorant ingredient. Organic hops have two main purposes in organic deodorant: as an anti-bacterial and as a natural preservative alternative to parabens. The anti-bacterial properties help to fight odor-causing bacteria on the skin, while the anti-microbial properties work to keep your deodorant product free from bacterial growth. 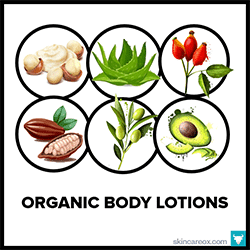 THE BEST ORGANIC BODY LOTIONS, BUTTERS, & SERUMS 2018All about the most moisturizing organic body lotions, body butters, and body serums for hydrated skin. 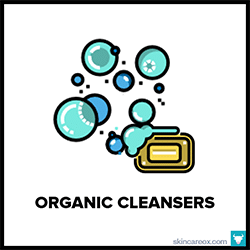 BEST ORGANIC FACIAL CLEANSERS FOR EVERY SKIN TYPEA list of 40 amazing organic cleansers for acne, oily, sensitive, dry, and mature skin types. 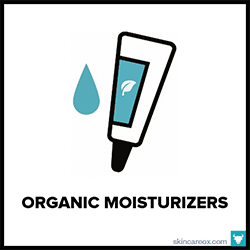 BEST ORGANIC FACE MOISTURIZERS: THE COMPLETE LISTA top list of 36 effective + truly organic facial moisturizers by great brands. 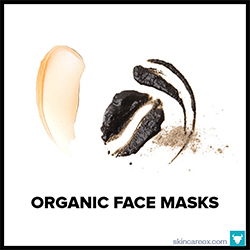 20 AMAZING ORGANIC FACE MASKS FOR EVERY SKIN ISSUEA list of 20 organic masks with fatty acids, vitamins, enzymes, clays, oils, and more. spread on a thin layer of lactose free yogurt. Much better than any DIY or store bought products. Do you have any idea of the ussal natural deodorant ? I like the product description, but I think there is no one to examine it. What do you recommend the most for sensitive skin ?